Speed. This is the one thing that matters the most when it comes to cloud storage solutions, and there’s a simple reason for that: the faster you download, upload and sync files in a cloud drive, the more it feels like an actual hard drive, albeit virtual. You wouldn’t want to wait five minutes for a little video in your cloud account to load so you can watch it, would you? 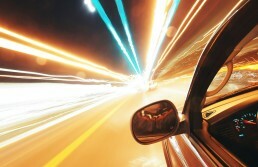 Speed is also what sets pCloud apart from the competition. We are able to offer our users download and upload speed that is ostensibly higher. How we do it? It’s simple (actually, it’s not simple at all and takes some great expertise to achieve that but it is simple for you – and that’s what matters). First of all, we use a network of collocated proxy servers around the world. This way you upload your files to the server that is closest to you, and this influences the speed, at which you transfer data. Then, we use a unique protocol to transfer your data. Our in-house development team figured out that the data transfer protocols the world uses haven’t really been changed in quite a while, and decided that it was time to create a new one. So this is what we did. We didn’t pick Dropbox at random – a few weeks ago they announced that they will launch Project Infinite – a service that will essentially replicate what pCloud Drive does. Only, pCloud Drive does it much faster. And has been doing it for more than 2 years now, while Project Infinite is still just a project and Dropbox hasn’t announced when it’s launching the service. We won’t lie to you – we’re really proud of ourselves, and nothing can wipe up the green from our faces. What’s even more rewarding, is the fact that we do that so you, our users, can never feel the difference between the files stored locally on your machines, and these you keep in pCloud. Disclaimer: The speed test in the video above has been conducted with a 500 mbit/s fiiber optic internet connection. The results may vary based on internet connection speed.